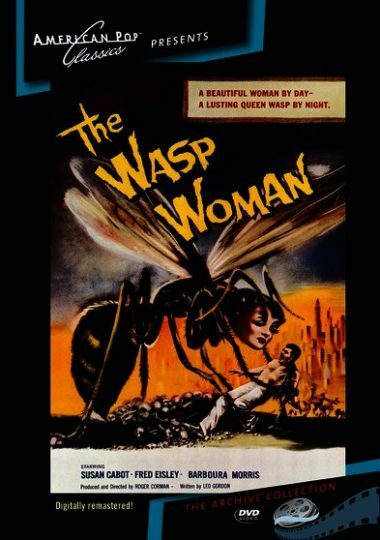 The Wasp Woman – A fluid from queen bees is extracted and used in a potion as a Youth Serum, but produces horrific unexpected results when overused. Starring: Susan Cabot, Anthony Eisley, Barboura Morris, William Roerick. 1960 – BW – 73 Minutes. Digitally remastered.